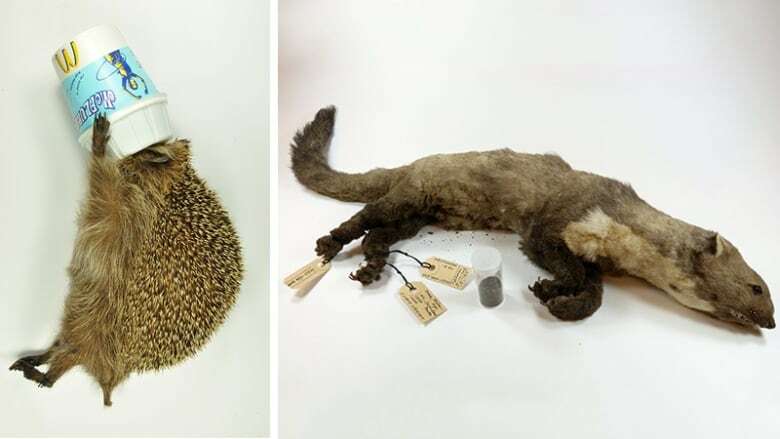 The CERN weasel, who died after being shocked by the world's "most powerful machine" — the Large Hadron Collider particle accelerator — is now on display at Rotterdam Natural History museum's "Dead Animal Tales" exhibit. Some animals die in ordinary ways. Some die in ways so spectacular, their corpses get put on display at a museum. 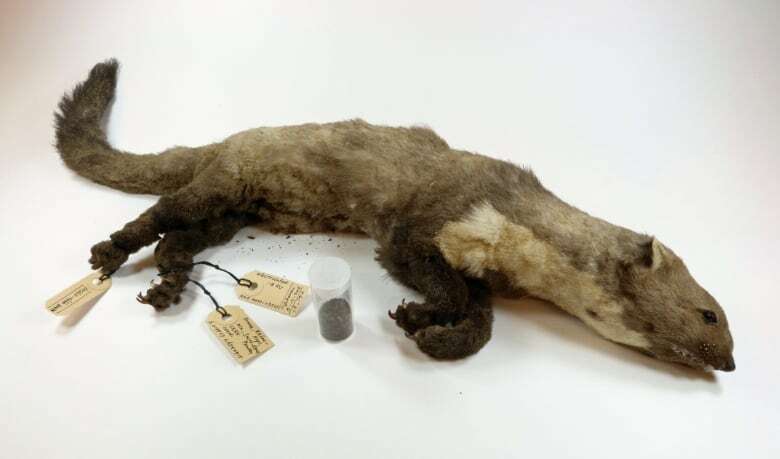 Take the so-called "CERN weasel" — which was actually a stone marten. 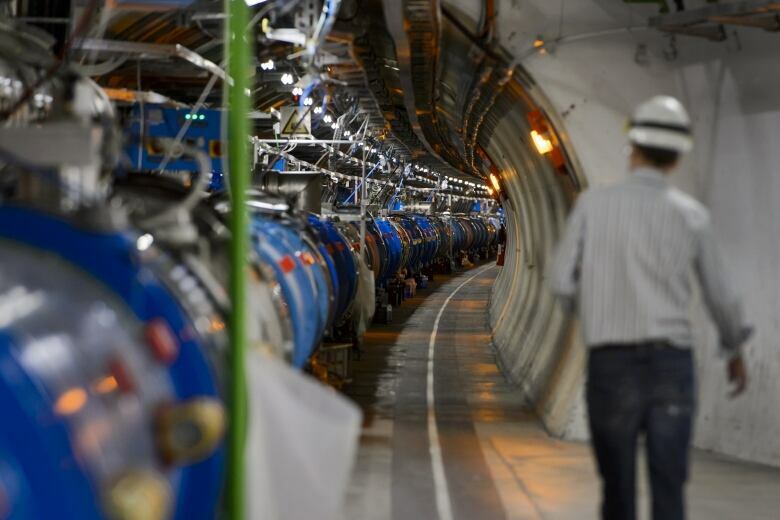 It found its way into one of mankind's greatest technological achievements, the Large Hadron Collider — a particle accelerator used by scientists to study things like the birth of the universe. It did not find its way out. 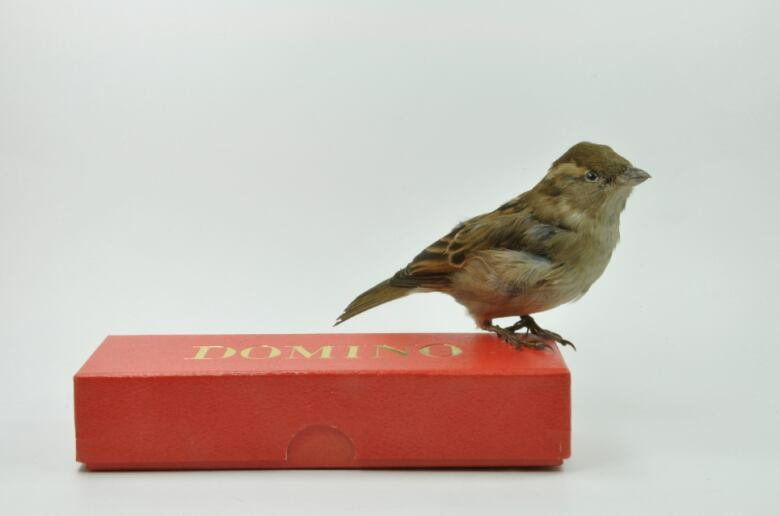 When Kees Moeliker learned of this, the director of the Rotterdam Natural History Museum knew it would be the perfect addition to his exhibition, Dead Animal Tales. Moeliker spoke with As It Happens guest host Helen Mann. Here is part of their conversation. Helen Mann: Mr. Moeliker, how did you acquire the infamous CERN weasel for your museum's exhibition? Kees Moeliker: We have a large network of people who know what we collect here for the Dead Animal Tales exhibit. 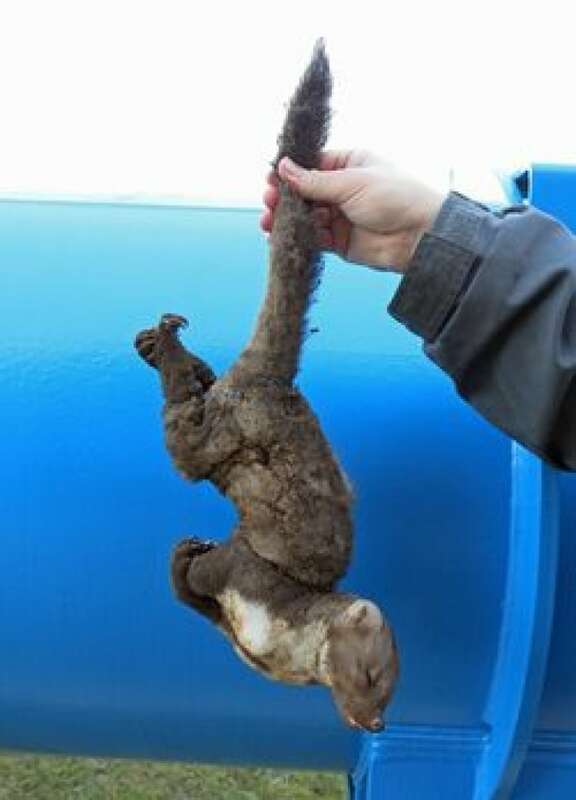 In April, last year, the first CERN weasel collided with the CERN machine we immediately told them we were interested in acquiring the specimen because it's a fine example of how man and animal collide with technology. Unfortunately, the animal was disposed of so we were kind of disappointed. But, last November, when there was another occasion, the people over there were aware of our interest. We drove down there and collected it. HM: How did this animal die? KM: It jumped over a fence of a power station that's feeding the CERN collider and it's a high voltage transformer. It jumped from the fence onto the transformer. It was electrocuted and died instantly. HM: I would imagine it would be pretty quick, given the voltage. HM: What inspired this Dead Animal Tales exhibit in the first place? KM: We want to show that animal and human life sometimes, and even more and more, collide — with dramatic consequences for both. That's because the habitat of animals and humans, more and more, comes together. Wildlife and human life really intermingles and, well, sometimes this goes wrong for both parties. HM: Was there a particular incident that kicked off this whole thing? KM: A long time ago when I started working here as a curator. On a beautiful evening in June 1995 a mallard duck crashed into the glass window of my office and got killed. It landed on its belly. But next to this dead duck, when I looked out the window, I saw a live duck. This live duck started to mount the dead duck. So this was another collision and of course the consequences were kind of traumatic. This was the first case of homosexual necrophilia in this particular duck species. It made me think about the impact of the human environment on the behaviour of animals, which of course was not really natural [with] what happened there. HM: Right. There's also fish in your collection, I gather? KM: Yes. We call him the "Do Not Swallow Fish." It was probably inspired by the movie A Fish Called Wanda. There was a group of drunken youngsters in the Netherlands who had the habit of swallowing fish from their aquarium, after a lot of beer. They kind of topped it off with the fish. 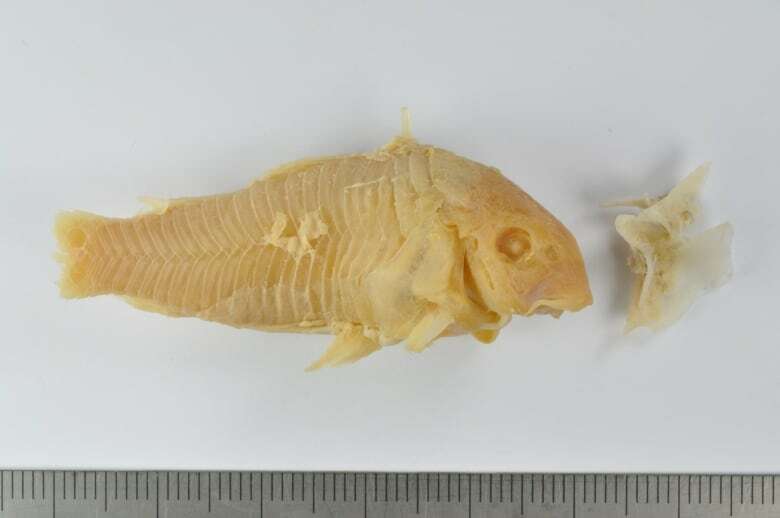 When the goldfish were finished, they caught another one from the aquarium — an armoured catfish. Those people were not aware of the morphology and the anti-predator strategy of this fish. KM: So when this fish was swallowed, the catfish erected the spine of its fins and got stuck in the man's throat. Of course, this was traumatic for both the fish and the man. He tried to push it through or pull it out. He drank more beer. He tried lubricating with honey and chilling it with ice cream. He ended up in the hospital, which happened to be next door to the museum here. The doctors informed me about this fish and asked if I was interested. The poor man was in intensive care for a week and we got the fish. So we're all happy. HM: Do you have a favourite in your collection? KM: Well, there's the hedgehog. It's called the "McFlurry hedgehog." It's a pretty common mammal here in Europe and they're fond of dairy products — especially ice cream. This was back in 2007, when the first victim of the McFlurry ice pot was recorded here in the Netherlands. 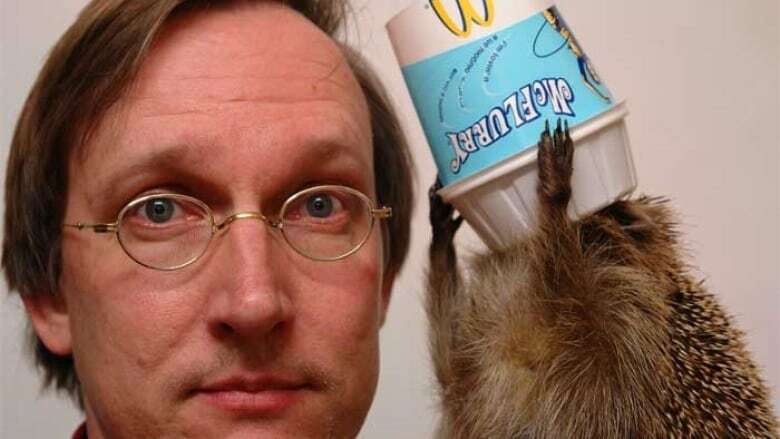 It was a hedgehog that got lodged in the ice cream cup of this hamburger firm. It suffocated. KM: Of course, it's very traumatic and the only reason why this happened is because people throw their garbage out on the street. We got this hedgehog together with the ice cream pot and we displayed it as such to point people the dramatic effects of their behaviour. The good news is that McDonald's decided to change the design of these ice cream pots in favour of the hedgehogs. Luckily, in most cases, man and animal live together in harmony. But sometimes, it goes wrong and this is what we emphasise with our exhibition here at the Rotterdam Natural History museum. This story has been edited for length and clarity. For more on this story, listen to our full interview with Kees Moeliker.